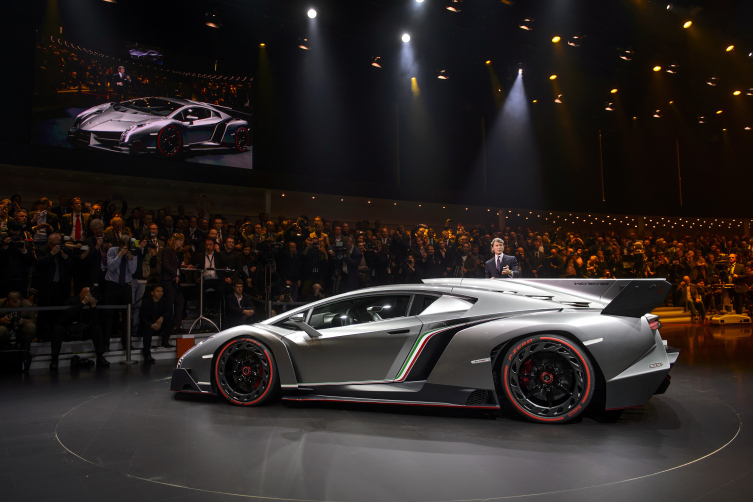 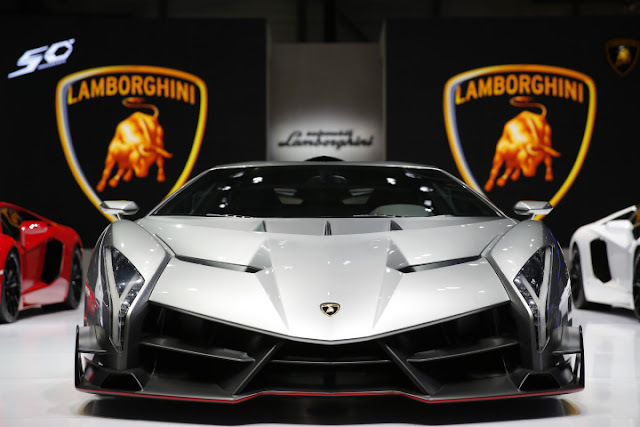 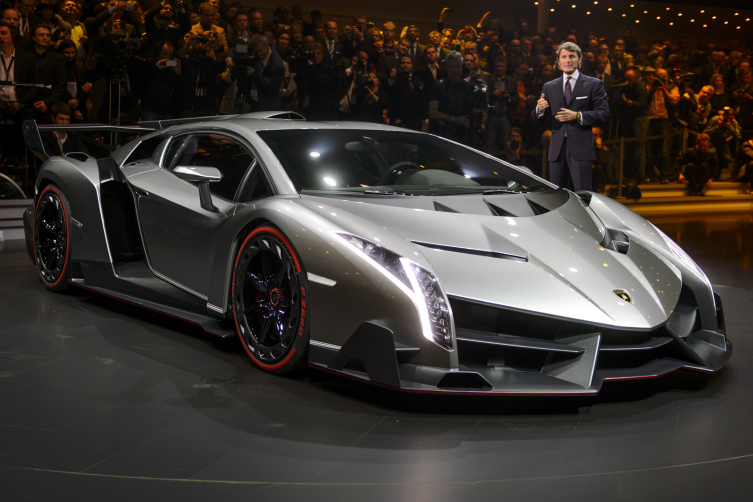 On Monday, Italian car maker Lamborghini introduced its Veneno supercar, a 750-horsepower beast whose $3.9 million price tag immediately makes it one of the most expensive cars ever produced, putting the $2.4 million Bugatti Veyron and the McLaren F1 (a mere $1 million, although they’re tough to find) in the shade. 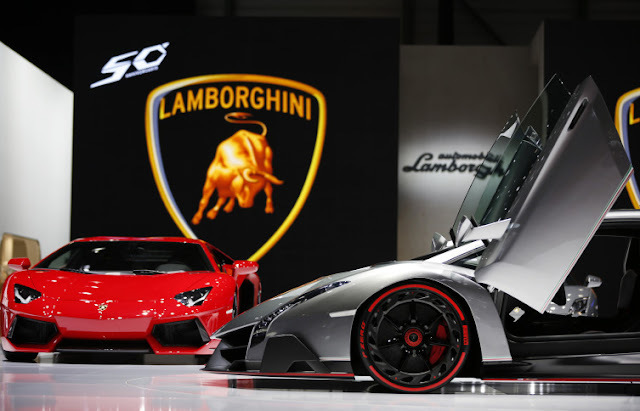 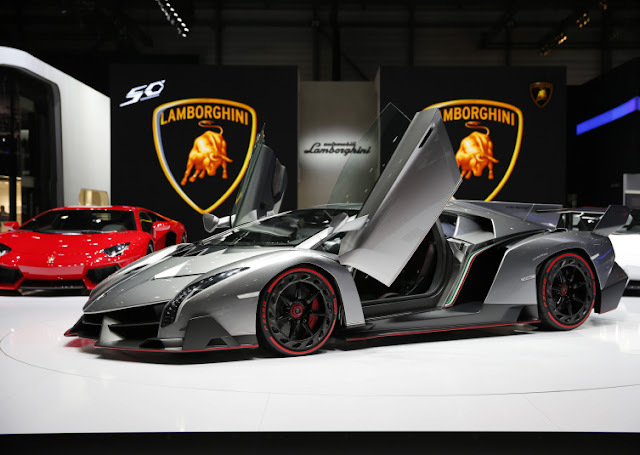 of the 83rd Geneva International Motor Show in Geneva, Switzerland, on Tuesday, March 5, 2013. 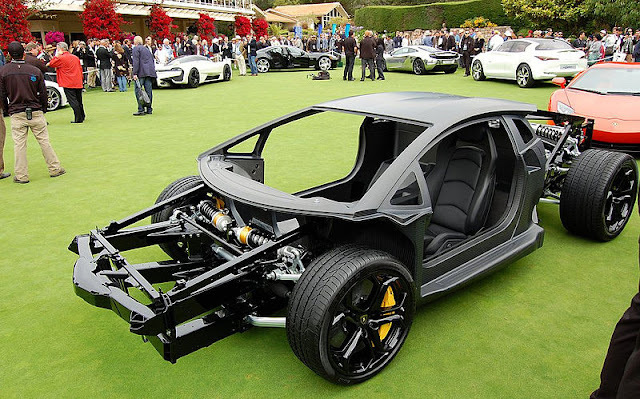 Much of the extraordinary cost of the car comes from its carbon fiber monocoque construction, CNN Money reports. 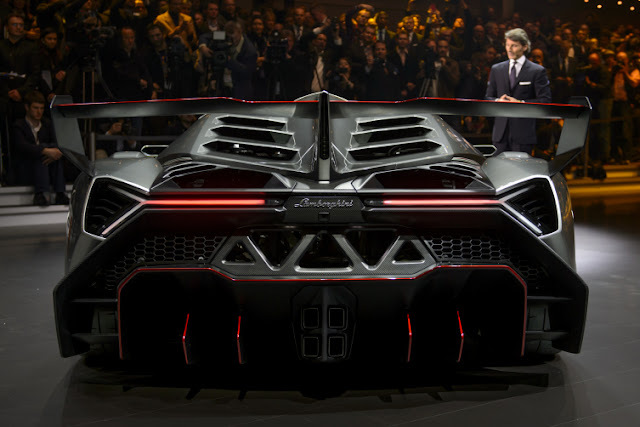 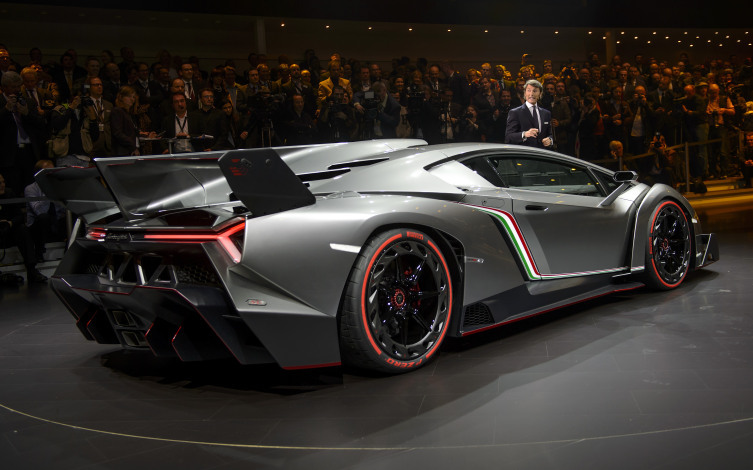 While the vehicle is based on Lamborghini’s $400,000 Aventador chassis, all its body panels — including the various splitters, air ducts and diffusers and the massive rear spoiler — are custom-designed to maximize downforce and keep the car close to the road, according to the Chicago Tribune.